You might think we know a lot about ancient Rome and the Roman way of life, but there's plenty we don't know. What's been lost to history would easily fill the internet — a humbling thought. Sometimes we stumble across archaeological oddities or mysterious symbols that we just can't explain. 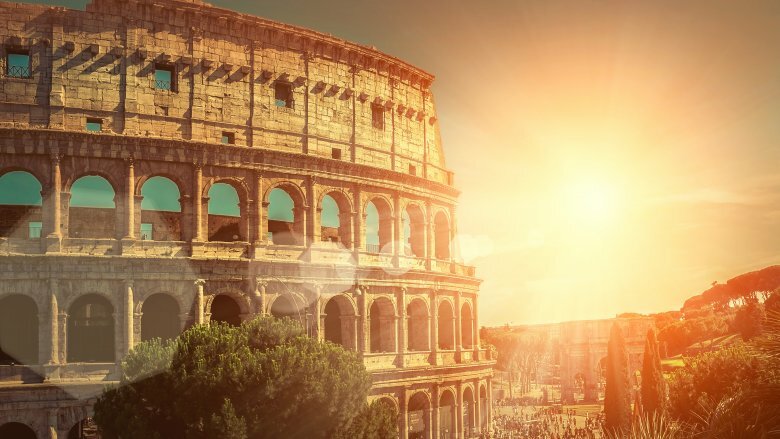 Here are some unsolved mysteries of the ancient Romans. Whoever murdered this child 1,800 years ago totally got away with it. 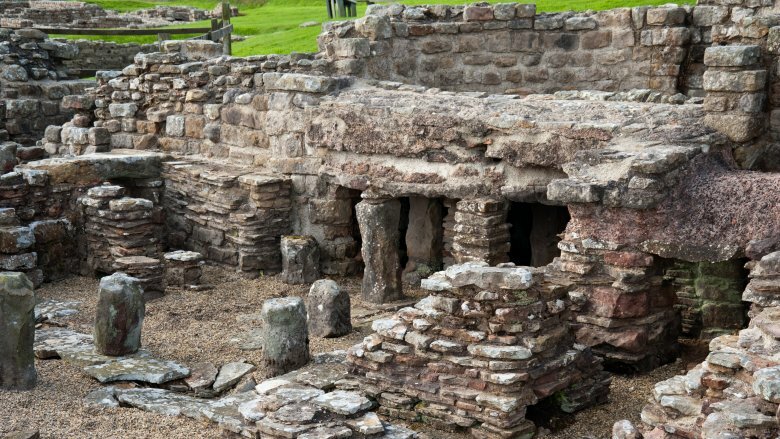 They buried the body beneath the floor of a third-century Roman fort near Hadrian's Wall, and it was only discovered when modern-day archaeologists excavated Vindolanda (pictured). The child — it's not clear if it was a boy or a girl — was about 10 at death, and historians named the remains "Georgie." 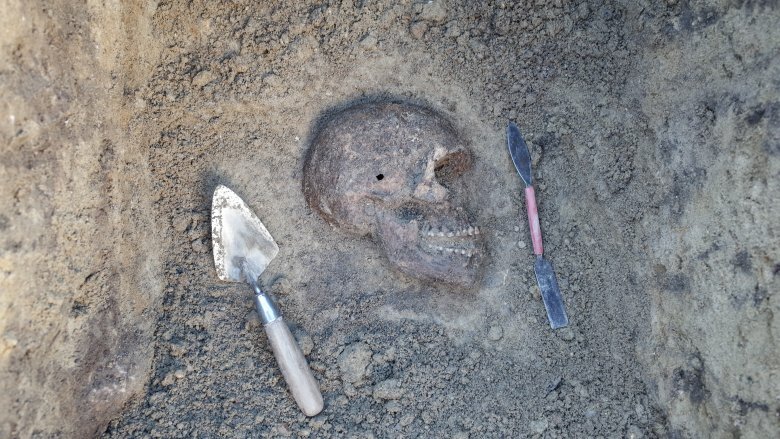 According to Dr. Trudi Buck of Durham University (via the BBC), it's pretty clear this is a centuries-old murder case. Roman law forbade human burials near settled areas, so it's likely the body was stashed there by whoever was involved in the untimely death. Experts also say little Georgie probably died after being hit in the head, as the skull is the only incomplete part of the skeleton. While the remains haven't given up much about the murder (or accident), study of the teeth has revealed Georgie grew up in the Mediterranean, only to end up the victim of a British murder a few years later. It's possible Georgie was the child of a soldier or a slave brought to the wall. We'll never know, but hopefully the Di Inferi had a nice, long, not-so-friendly chat with those involved in the afterlife. Were Roman soldiers at Dura the victims of chemical warfare? Archaeology is tough sometimes, as it takes quite a bit of effort to keep from viewing an ancient site through a modern lens. 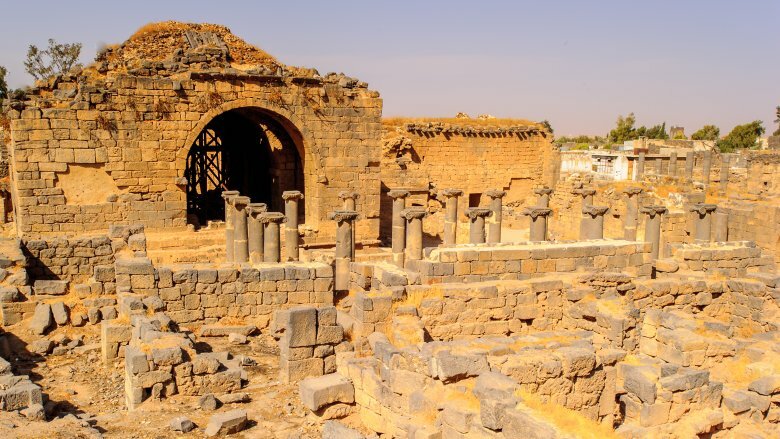 That said, it's still entirely possible a 2000-year-old find from a Roman city in Syria is an example of something very modern: chemical warfare. 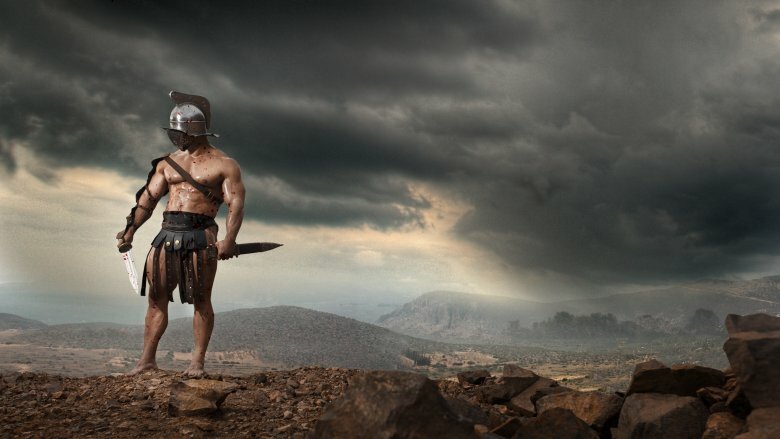 According to University of Leicester archaeologist Simon James (via LiveScience), his reconstruction of a battle that played out under the walls of Dura-Europos suggests the 19 Roman soldiers who died in the underground tunnels didn't die in battle. They may have died choking. We know the city was held by Rome and that attacking Persians started digging tunnels under the walls. Rome's defenders dug their own tunnels to intercept them, and theirs were at a higher elevation. When the siege tunnels were excavated in the 1920s and '30s, researchers thought the tunnels met, men fought, and men died. But James believes the Persians let the Romans break through the tunnel then set a deadly mix of bitumen and sulfur ablaze. The chimney effect did the rest. It's a great theory and an even better story, but they stress there's no actual evidence for it. There are no written records, and the bodies in the tunnels might have been moved by the original excavation, so this mystery is just a good story. Did a lost Roman legion settle in China? There's a village in western China where the residents have blue and green eyes, light hair, and a legend they're descended from a Roman legion. Are they? They very well might be, but we're not sure. The Telegraph reported on a series of DNA tests on the villagers of Liqian in 2010, and the results show they're about 56 percent Caucasian. That's a long way from confirming the story that's been handed down through the years, but if it's true, it's a heck of an origin story. In 53 B.C., Marcus Crassus led a Roman force into what's now Iran. (You know the name, he's one of the first Roman Triumvirate formed with Julius Caesar and Pompey.) He was met by an army of Parthians, his men were slaughtered, he was beheaded, and his son committed suicide. But some of the legionaries escaped, it's believed, and became sort of a wandering band of mercenaries rather than returning home in disgrace. Chinese chroniclers give some tantalizing clues suggesting it's true, but nothing definitive. Legend says this lost group eventually settled down in China, but without archaeological proof, some experts refuse to believe it. To heck with proof; someone needs to write the miniseries. What happened at Ham Hill? Ham Hill is an Iron Age fort nestled in the scenic Somerset countryside, and for a few years, it was the site of a joint archaeological dig overseen by the Universities of Cambridge and Cardiff. 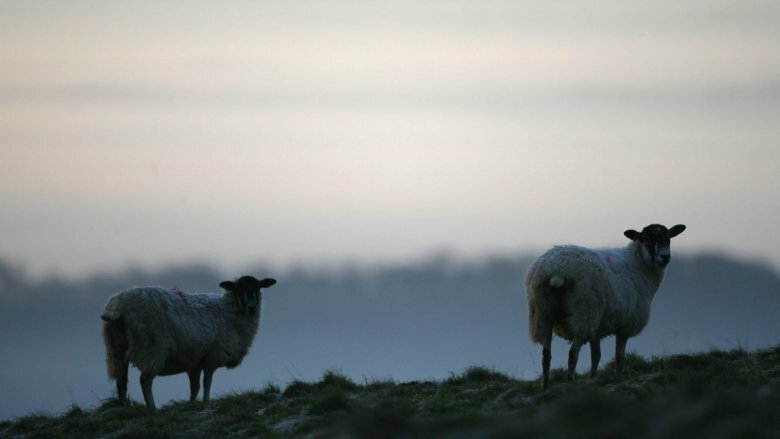 Sure, you expect to find some weird stuff when you're literally digging into the past, but they found particularly horrible stuff dating back to the time when the Romans were expanding into Britain, including scores of human bodies that had been chopped up and stripped of their flesh, or buried, or left to the animals. According to the BBC, most of the bodies were found buried along the fort's ramparts as well as in the grain pits, and they're dated to around 100 B.C. Strangest of all, archaeologists found a weirdly high number of female skeletons, most identified as women who died in their 20s. Dr. Marcus Brittain of Cambridge told The Independent the mass casualties were likely the result of some kind of massacre, and many of the bones bear marks suggesting they've been defleshed. It's unclear just what happened at Ham Hill, but archaeologists suggest some sort of brutal conflict took place there. Perhaps some Iron Age Britons defleshed their kin to bury them. Just remember that little tidbit the next time you think you want to go back in time to live a simpler life. What's the story of the man with the stone tongue? Humans have always had a weird relationship with death, and how we deal with the earthly remains of our loved ones varies by culture. In January 2017, The Guardian reported on the unearthing of a man whose burial was neither ritualistic or familiar. He was buried in a Northamptonshire site dating back to Roman Britain, and he was laid in his grave face down. That bit is at least understandable: archaeologist Simon Mays says that was a typical burial for someone who had been a threat to the community in life. But he's also missing his tongue, which was replaced by a stone. Mays says the tongue was probably either amputated or bitten off by the man himself. Infection in the bones of his jaw show it was removed while he was alive, and the practice of replacing a missing body part with another object was rare but definitely known in Roman Britain. No one is sure why it was done. It may have been an attempt to make an incomplete body whole again for the afterlife, or — more disturbing — it may have been an eternal punishment. Replacing an actual body part with an inanimate object may have been a way to condemn someone to an eternity of incompleteness. Holy crap, what did this guy do? How many people did Locusta kill? Locusta lived during the first century A.D., and she's gained a certain amount of notoriety as one of the world's first recorded serial killers. That might be a bit of an unfair description, or it might be completely accurate. History isn't entirely sure, and here's why. Locusta wasn't actually called a poisoner; she was a chemist. According to Gizmodo, she just happened to specialize in poisons and took on a few high-profile clients like Nero and his mother, Agrippina. 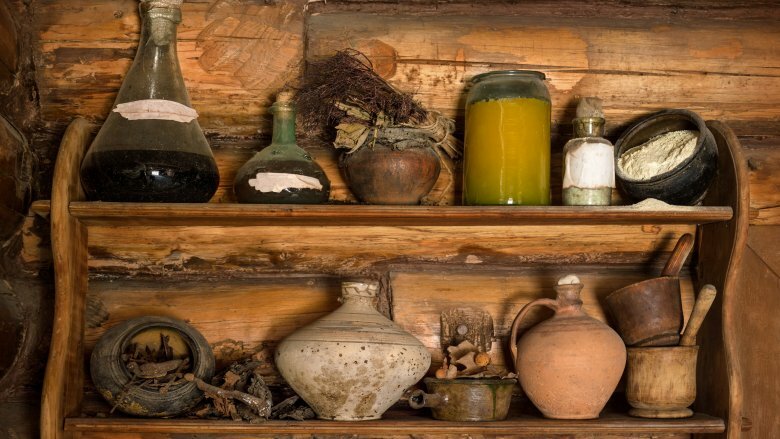 Nero liked her work and set up an entire school where she made new poisons and taught the next generation of poisoners everything from poison-making to how to identify poisoned food. There's a problem, though. None of Locusta's research has survived, and contemporary records of her are nothing more than a few lines in the works of historians like Tacitus. Most of what we know about her life — and evil deeds — is complete speculation. While it's completely possible she ran a poisoner-for-hire sort of business for more than a decade under Nero before being executed by his successor in 68 or 69 (via Executed Today), we just don't know. Who was the man in the lead burrito? In 2010, archaeologists from the University of Michigan uncovered a mysterious, 1,000-pound lead coffin buried in the city of Gabii. Clearly, someone had gone to huge lengths to give this person an elaborate burial, securing their earthly remains in a sheet of lead folded carefully into a coffin in a shape that gave it the nickname "lead burrito." Nicola Terrenato of the University of Michigan (via Science Daily) said lead coffins were rare and that one that heavy would have cost a fortune. Guesses as to who was buried inside ranged from a gladiator or a soldier of some renown to a big wig in the religious world. Exciting, right? Researchers were planning on using noninvasive techniques like thermography to see what artifacts had been buried with the body and learn more about the person. Unfortunately for them (and anyone else who's curious), the contents of the lead burrito didn't help solve the mystery at all. There was absolutely nothing buried with him, and the only thing researchers learned was that the remains belonged to an adult man who was buried about the time Nero was ruling. Beyond that, we have no idea why this massive but singular display of wealth and standing was made during his burial. What would we have learned from Livy? There's a huge amount of Roman history we only know because of Titus Livius, otherwise known as Livy. The Ancient History Encyclopedia even goes as far as crediting him as being the reason the Roman Empire was remembered, a lofty claim that makes it even weirder that we know next to nothing about him. We know he was born in Patuvium, ended up in Rome, had at least a son and a daughter, and … that's pretty much it. Oh, and we know that his claim to fame even at the time was his 142-volume history spanning the years from the founding of Rome into Imperial Rome, a whole seven centuries condensed into a set of books you'd need at least a few donkeys to carry. Unfortunately, the only books that survived in their entirety were the first ten volumes, and 21 through 45 (mostly). We have a short synopsis for most of the others, and two are gone completely. 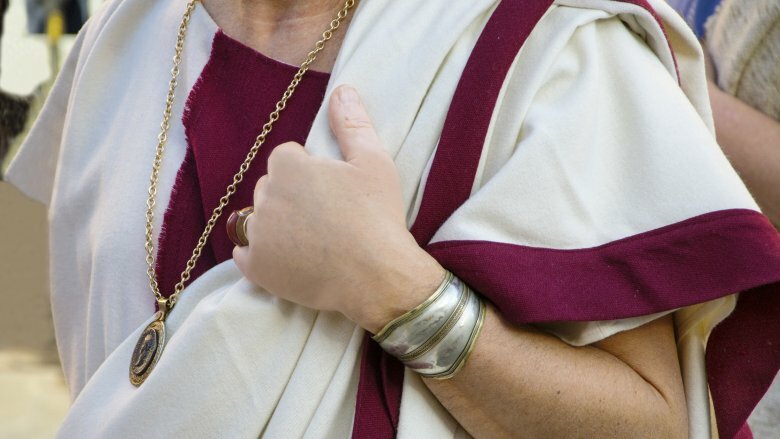 Who knows what else we would have learned about the Roman Empire? Heck, maybe some of these other mysteries would have made sense. It's possible these missing volumes might show up someday, and before you laugh, it's happened. In 2005, Oxford University started transcribing and translating lost works of Hesiod, Euripides, and Sophocles, written on papyrus that had been consigned to an ancient landfill. Everyone's a damn critic. Legend says it was a unit of the best of the best — the Roman A-Team, if you will — that was sent to the farthest reaches of the Empire to deal with the rebellious Picts. Then, they seem to fall off the face of the earth. So, what happened? The theory they all died beyond Hadrian's Wall was popularized by Rosemary Sutcliff's novel The Eagle of the Ninth, according to the BBC. Unfortunately, novels aren't true. (If they were, we'd have run off to Middle-earth a long time ago.) We know the last official mention of the Ninth Legion was in 108, and Tacitus even writes the Ninth suffered massive losses in Caledonia after a few guards fell asleep and were blindsided. We know the Sixth Legion was transferred up to Hadrian's Wall around 118, but then it gets hazy. There are a few traces of the Ninth after that, including bricks in the Netherlands stamped with the Ninth's signature and dated to 121. One officer from the Ninth, Lucius Aemilius Karus, turns up in 142 as the governor of Arabia. That all seems to suggest the legion was transferred off the Wall, not destroyed. Historians disagree about where it may have ended up. Judaea, Cappadocia, and the Danube have all been put forward as viable candidates for the final destination — and resting place — of the Ninth Legion. Why did the Roman babies die? No one hears the term "mass grave" and expects a cheery story, so consider yourself warned. A few Roman mass graves have turned up, including one in Hambleden, England (pictured), and one in Ashkelon, Israel. They have something chilling in common: they're the final resting place of dozens of babies. 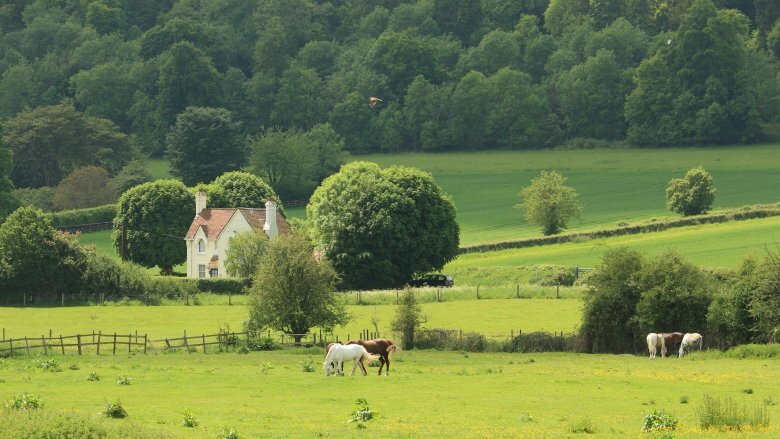 Let's look at Hambleden first. 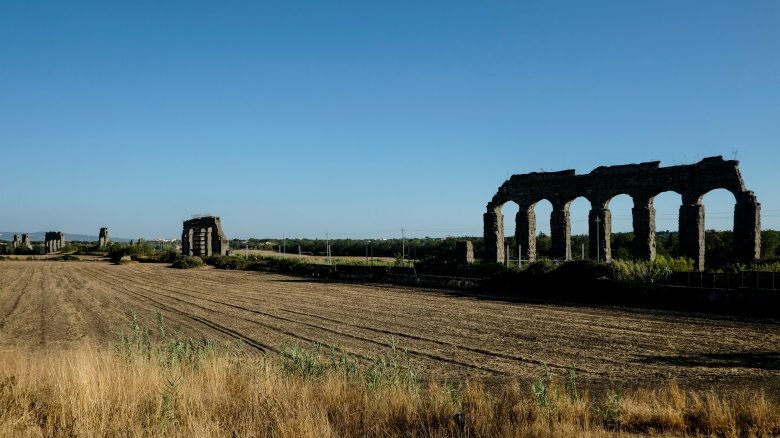 In 2008, an archaeologist rediscovered remains excavated from a Roman villa complex almost a century before, boxed up and forgotten about (via the BBC). Dr. Jill Eyers of Chiltern Archaeology cataloged 97 infants killed between 150 and 200, and there are several theories on why they died. 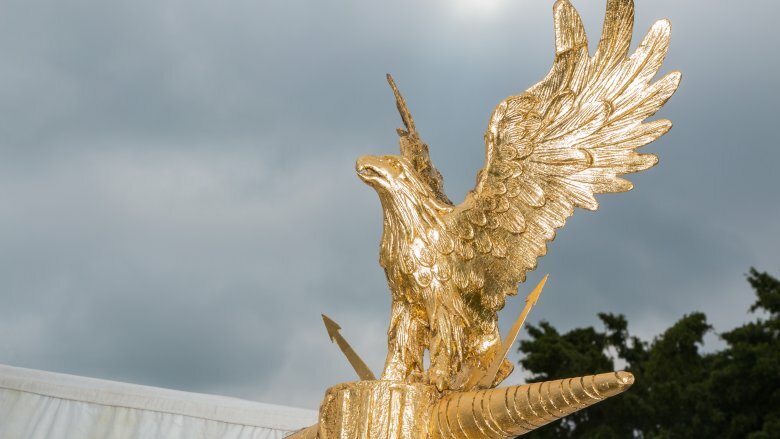 Eyers believes they're heartbreaking reminders of the consequences of a brothel, while others think the site had connections to a goddess cult and that the babies were sacrifices or simply children who didn't survive the trauma of childbirth. The site in Israel doesn't clear anything up. Female infanticide wasn't unheard of in the Roman Empire, but there were mostly male babies in the Ashkelon graveyard. That seems to go against the brothel idea, too, as there should be equal numbers of boys and girls. However, archaeologists can also interpret this as the idea girls were valued and raised into prostitution (via Archaeology). Add in that unwanted babies could be sold into slavery for a decent amount, and the deaths make even less sense. What does the Villa of the Mysteries really depict? Discovered in 1909 after being buried in 79, Pompeii's Villa of the Mysteries has some seriously amazing frescoes that date back to sometime in the first century BC. According to Archaeology magazine, there's some debate about what the frescoes depict. Some argue they show nothing more than a play, performance, or a wedding, but others think they might show an initiation into one of the biggest secrets of Roman life — the mystery cult. This one is thought to be the cult of Dionysus, and we know next to nothing about what went on behind their closed doors. Members of the public were forbidden from knowing any details about worship, initiation, rituals, or practices. Since keeping written records was strictly not happening, the most we have to go on are these often cryptic images. 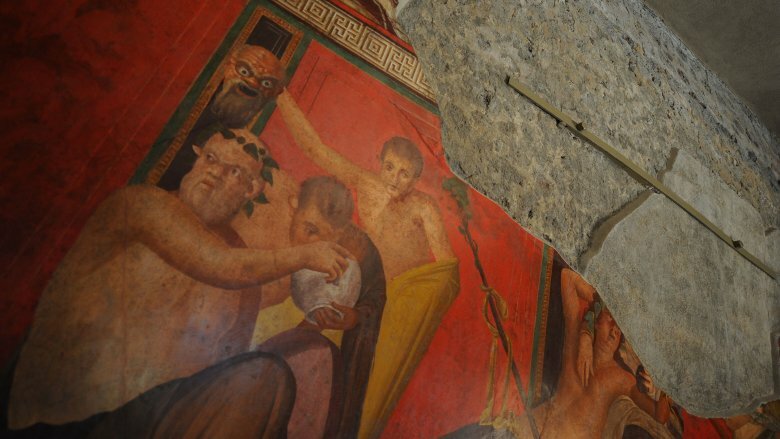 The villa's frescoes show things like a drunk young man who's likely Dionysus, and there was also a wine press recovered in the original excavation. According to i-Italy, that doesn't guarantee anything, though. The villa had a few owners (and no one can even agree on who those were), so we have no idea if the images are a hen party or the secrets of a mystery cult. What's the story of the Crossrail skulls? In 1988, 39 skulls were excavated at a site strangely close to the Museum of London. That's the sort of thing that takes time to sort out, and in 2014, The Guardian reported the skulls were thought to be proof of Roman head hunters plying their trade in Britain. The skulls are from adult men, most have markings suggesting a violent death, and most were apparently gnawed on by ancient animals. 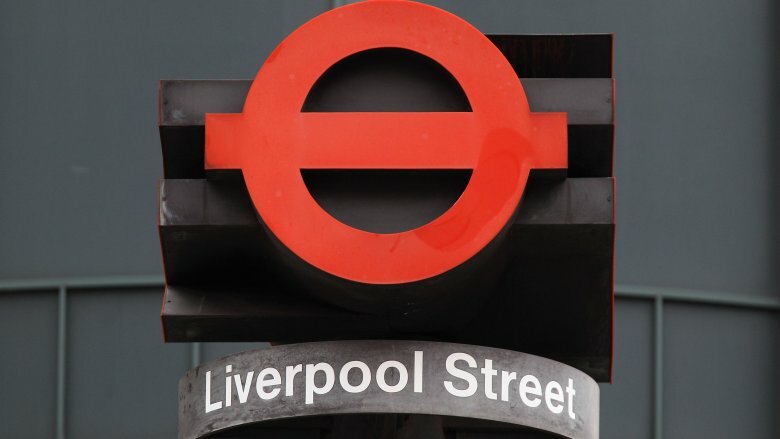 Archaeologists suspected the remains were dumped in open display pits by a stream and were ultimately deposited near what's now the Liverpool Street station. That's still up for debate, though, because The Guardian reported in 2015 that a new dig also found an ancient cooking pot filled with cremated remains. That had been put there deliberately, so it's entirely possible the skulls were put there, too. As the excavation continued, hundreds of skulls were unearthed. Possible explanations include that they were executed criminals, gladiators, or even soldiers who had once rebelled against the Romans. No one has the foggiest idea, and as a terrifying — but fascinating — footnote, the same area (which is about the size of a swimming pool), was also used as a 17th-century burial ground for plague victims. If there's ever a place that's haunted, it's there.